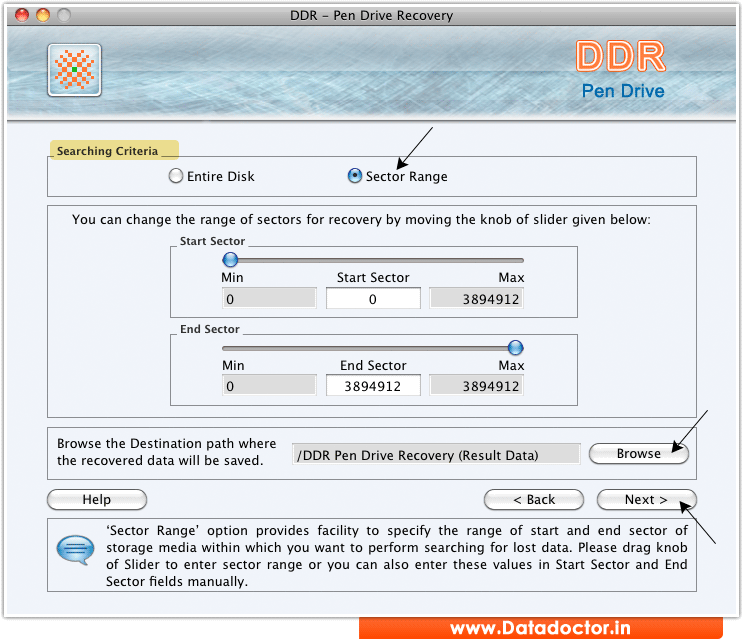 Select “Sector Range” option in searching criteria then specify the range of sector (Start Sector and End Sector). 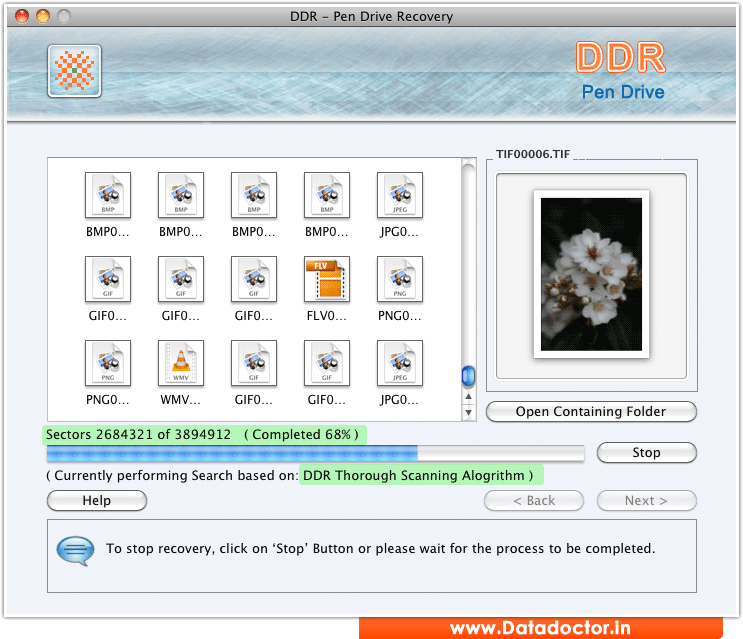 Click on "Browse" button to browse the path where you want to save recovered data. Click on “Next” button to start search process. 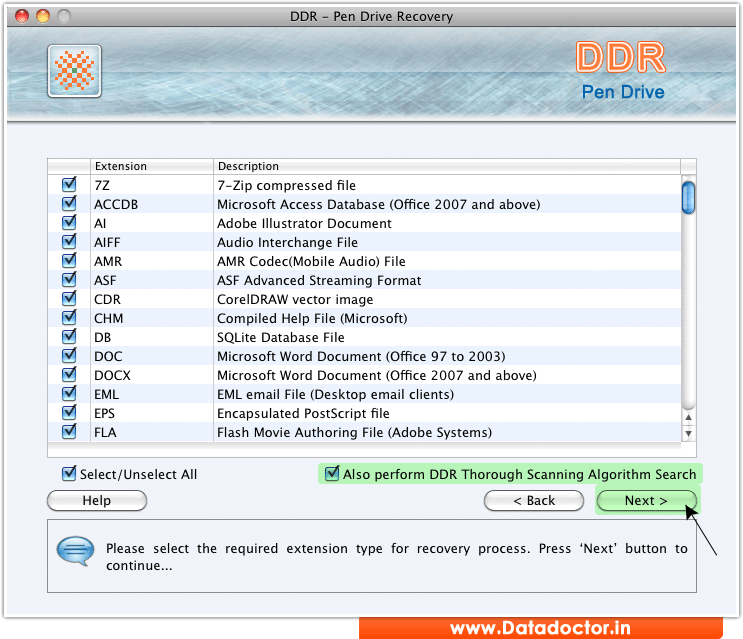 Select required extension type for recovery process. Enable “Also perform DDR Thorough Scanning Algorithm Search” option then press ‘Next’ button to start searching process. Currently performing disk scanning process. Click on “Stop” button to stop searching process.